We have gotten some great response back from our customers who have the SkyActiv Mazda 3, 6, and CX-5s over the past few years with product suggestions and questions about power, technology, and more. 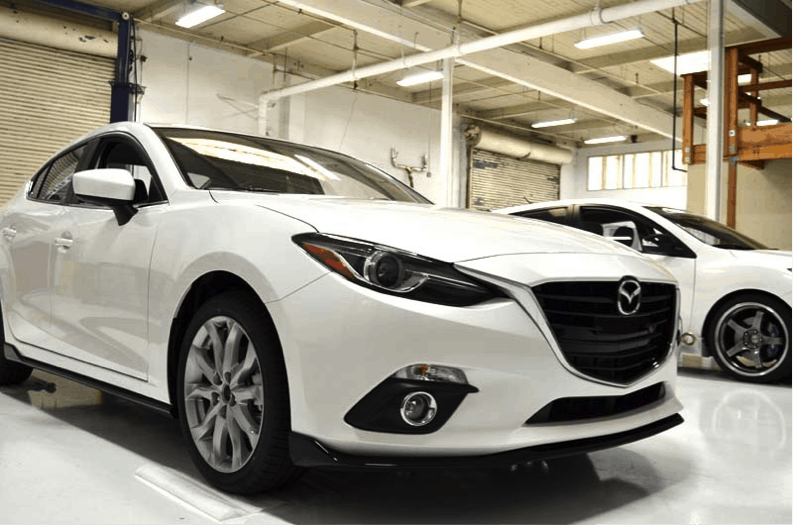 We decided to have an in-house example of Mazda’s current sport model of the Mazda 3, a 2015 2.5 liter SkyActiv manual transmission. As everyone’s favorite television series host has put it in the past: There is no better way to test the breed than motorsports. So that is exactly what we are going to do with this brand new Mazda 3. Strip the interior, outfit it with CorkSport parts, install some safety gear, and go racing. Yes. We are really going to take apart a perfectly good car to race on the track with a bunch of other people who suffer from the same mental disorder. We will be posting regular updates on the car as we proceed through the build, which will include time on our dyno and results on the races. This also means there will be a garage sale on brand new parts from this car, interior, wheels, etc. It has every option so if you want something shoot us an email. 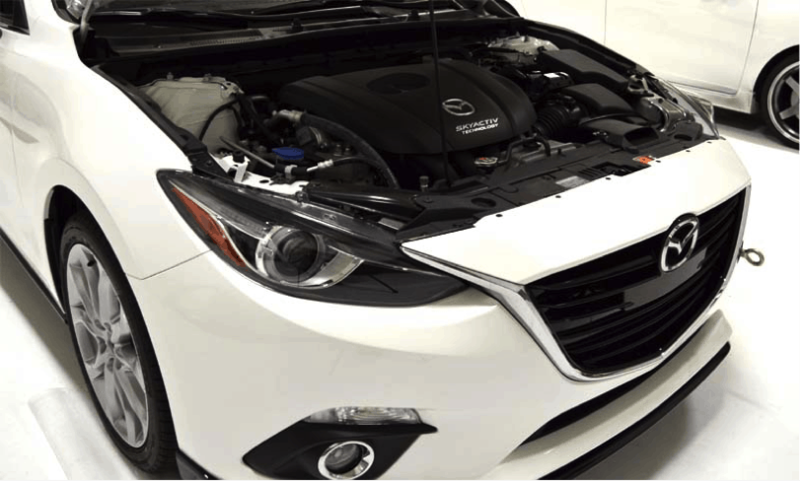 CorkSport is taking apart a brand new 2015 Mazda 3 2.5 Skyactiv to develop more parts for you by racing the car. We will be testing out exhaust, suspension, springs, swaybars, intakes, tunes, and more. Yes there are quite a few updates for this project. We will be racing the car at Daytona all next week for the SCCA runoffs. We will share some of what we have learned with working on the car and the dyno once the car is back from the event. Any update yet guys? Any pictures of the car with gutted interior or mods?